❁ Although each type of bean is slightly different, you can swap one type for another in most recipes. Use what you have or buy what is cheapest or on sale. 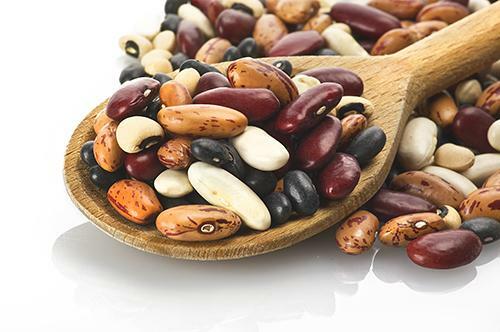 ❁ You can replace 1 pound of meat with 2 cups of cooked beans in many recipes. ❁ Drain and rinse canned beans to reduce the sodium by 35% or more. ❁ Beans have a high nutrient content and can be used either as a protein food or a vegetable.